Seen Jack Sparrow in Pirates of the Caribbean? What were pirates really like? Find out with real pirates Black Bart Roberts and his crew. GENTLEMAN OF FORTUNE – The Adventures of Bartholomew Roberts, Pirate by Evelyn Tidman takes you on an action-packed true adventure from the West African Slave Coast to the Caribbean. From fabulous treasure to near disasters, GENTLEMAN OF FORTUNE will keep you turning the pages. Learn what drove honest seamen to piracy. Discover how a pirate company was organised. Read about pirate laws—and penalties. Find out about life at sea, the hardships, the dangers. Get to know real characters. Experience life among the pirates. Live the battles, grab the treasure, enjoy the rum! 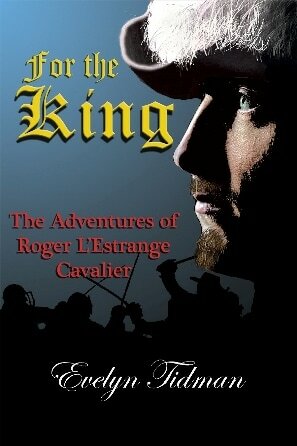 Historic characters come to life in this swashbuckling epic about the pirate Bartholomew Roberts. Learn about pirate laws and customs. When pirates capture a slave ship on the West African coast, third mate and ex-British naval seaman Bartholomew Roberts is forced to join the company. The death of the pirate captain catapults him into office as leader of a drunken, often rebellious crew. His first act of piracy sees him on the Coast of Brazil, taking a Portuguese treasure ship, and capturing the beautiful Lúcia. As Roberts takes the pirate company into adventure and fabulous treasure in the Caribbean and on the Slave and Ivory Coasts, he becomes so successful that he brings British trade to a standstill. Can the Admiralty stop him? Will his love for Lúcia threaten the pirate company? 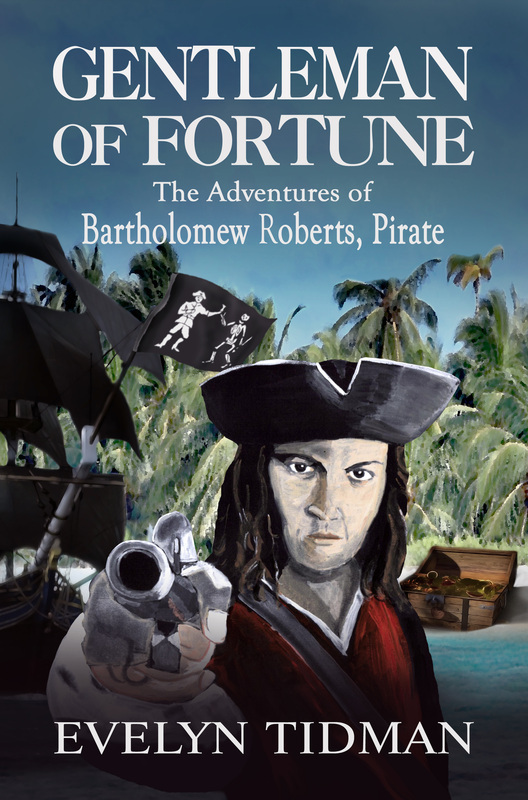 GENTLEMAN OF FORTUNE is a swashbuckling adventure and is based on the true story of Bartholomew Roberts. ‘Raise the black jack,’ Roberts ordered, and the black flag with the white death’s head, hour-glass and the crossed swords, the one the crew had facetiously dubbed the Jolly Roger fluttered from the mast as the expanse of water between the ships shrank. Roberts grinned. It had become so routine now. He glanced down the ship to the forecastle where men crouched beside the small forward-pointing swivel, the bow-chaser, ready and waiting for the order. He couldn’t fault them. They came closer to the intended victims, a little over a quarter of a mile away. They must have been seen by now, with the death’s head promising quarter if they yielded. But the two ships did not strike their colours. ‘Do they think to outrun us?’ Dennis asked, his brows meeting above his nose. ‘They can try.’ But since leaving Guiana no ship had challenged the black flag. All had surrendered. And he was surprised that in this case the English ships had not already struck their colours. ‘Ready, Cap’n.’ Like all the swivels, it was loaded with man-slaughtering grapeshot. ‘Steady as she goes,’ Roberts told the man at the helm. He judged the distance, the rise and fall of the vessel, not wishing for a hit, but a warning. The moments ticked by, then the small gun mounted on the forecastle gunwale belched smoke and flame. As he had expected the shot splashed harmlessly into the sea, neatly between the two victim ships. He watched them closely through the telescope, expecting the colours to slide down the masts, but the flags fluttered yet at the mastheads. Something was wrong. He trained the telescope on the decks of the galley, and his insides lurched, for the galley’s deck was alive with men, far more than he would expect on a merchant vessel. A group of them were leaning back, hauling on the braces, heaving round the yards to turn the ship. ‘Hell’s teeth!’ With the danger apparent, he had to act quickly. He could stand and fight but with only ten guns to the galley’s twenty, he was out-gunned. The other sloop also had ten guns. Immediately, others took up the cry and the Fortune’s decks came alive as men ran in all directions to bring the sails round to turn her. Now Roberts could see the quarter-circle described in the sea by the galley’s wake as she turned. Her gunports opened and two rows of gleaming black muzzles stuck out from her side. Alarmed, Roberts felt his heart thud in his chest. They were caught naked, exposed, with the Fortune’s side to the galley’s guns, a sitting target. ‘Get those damned yards round, for God’s sake!’ Roberts bellowed like a man possessed. 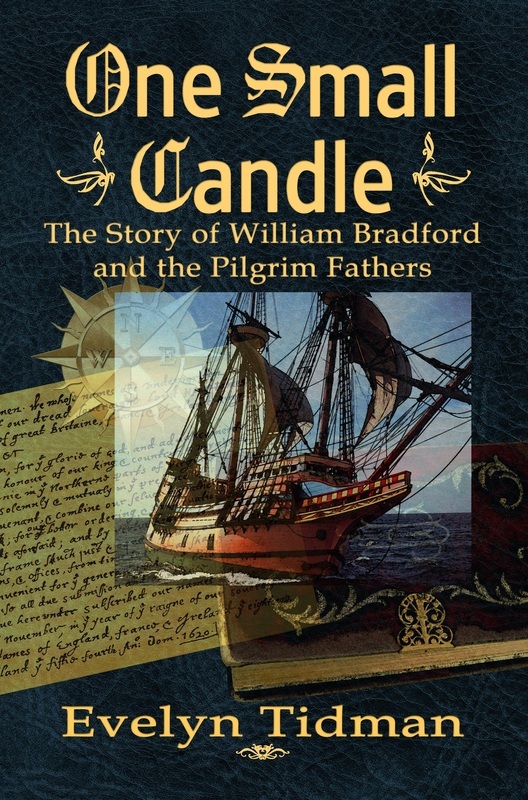 Now at last the sloop began to respond, turning agonisingly slowly to starboard in the opposite direction to the galley, putting the wind behind them to run with the wind on the beam reach which the Fortune liked best of all, and which he hoped the galley wouldn’t, although her fore-and-aft rigging didn’t allow this hope to rise too high. The galley’s guns roared into life as each gun along her larboard side exploded in fire and smoke in succession. The dreadful noise seemed to go on forever, as did the scream of cannonballs tearing through the air like demons of death. Time seemed to stop and Roberts held his breath, waiting in horror for the first of them to find a home in the little sloop’s side. They were close enough to receive the full force of the shot. All he could hope for was that the waves unsettled the aim. A ball crashed through the Fortune's timbers in a screech of splintering wood. Dennis stared at the hole in horror, and Roberts felt as though the deck beneath his feet had turned to mud. It was above the water line, but each plunge of the Fortune sent water into her. The deck erupted in chaos. Men injured by the splintering wood and other flying fragments screamed and cried. Blood poured over the decks. Two men were dead. As the Fortune came about, the gunners had come to the five guns on the starboard side. The galley had shown him ten guns on the larboard side. He could show only five. The Fortune shuddered as though her very seams would be shaken apart and the galley was obscured by a smoke pall until it blew away on the wind. As the sloop came fully round, Roberts began to breathe again. Now she presented a smaller target and she was running away from them, gaining speed. They couldn’t fire a broadside at this angle. But with relief came anger. Damn them! They had attacked him! How dared they even consider it? Stephenson bellowed his orders, and men rigged up extra spars from the boat oars and lashed them in place, tying the spare sails to them. Roberts left them to it, turning his attention again to his pursuers. Relief died. The galley had come in behind him, gaining on the Fortune, the rhythmic dipping of sweeps or oars protruding from the side giving it more speed. Worse, the almost-forgotten Barbadian sloop appeared off the larboard side, and was broadside to broadside with the Fortune. Its guns bellowed. But it was the swivels that caused the most damage, cutting down his men with their murderous grape and chain shot. His only chance was to get ahead of them, yet the two sloops were evenly matched for speed. He hoped the bigger and heavier galley would be more sluggish, although she carried more sail than either sloop. As the Barbadian sloop ran out her guns Roberts swore profanely and barked his orders, unheard in the terrifying explosion of the Barbadian’s guns. He waited for the crash and splintering of wood which would signal that they had been hit again. If they took down one of the masts, the game would be up. But once more they were spared as the sloop had fired on the wrong rise of the wave and the balls fell harmlessly into the water beside the pirate, sending a plume into the air spraying everyone on board. Once more the Fortune gave back fire. Acrid smoke filled the air as gun after gun fired. The very air shuddered with the noise. But now the Fortune had found her wind, and the extra sails rigged up filled, pushing her forward. Astern the galley had made the mistake of sailing into the wind as she came about and her sails collapsed so that she lost precious time, allowing Roberts to put some distance between him and his pursuers. Through the glass he could see the men struggling with rebellious sail as she foundered. In a few minutes they had her on course again, but it gave Roberts a breathing space. The Barbadian sloop still fired at them, but now only from her forward guns. The shots fell wide but she stayed on his tail, doggedly giving chase, the way he had once seen a cheetah stay on the heels of an antelope as it ducked and weaved until it eventually brought it down in death. For all the pirates’ efforts, and the little sloop responded well, they could not pull any further ahead. Now the galley gained on them, also firing from her bow. The sloop’s guns were useless like this. Ashplant abandoned his post as gunner. ‘We can’t outrun them, Cap’n,’ he said. This was a totally fascinating treat of a read! Never have the words swash and buckle meant quite so much. Initially drawn to this book by clever, quirky snippets on Twitter, I was soon totally seduced by the rip-roaring adventure. A huge cast of characters are brought vividly to life - I utterly believed in every one of them. The story is clearly very well-researched, but this is employed with such a light touch -never holding you up, just giving you complete confidence in the author and truth of the tale. No need for illustrations. Sights, sounds, smells of the seafaring life are all beautifully drawn - again, enough to entrance, but not weigh you down. It's not a quick read - I had to keep going back to it, but my interest never flagged. Tidman stays close to the historical facts. I highly recommend it to anyone who enjoys good historical fiction, or anyone who just loves a great swashbuckling tale that takes you back to one of the most colorful eras in history. - By Joan P. Ashley "J.P. Lane"